Johnston Campaigns is a Texas-based consulting firm specializing in direct mail for Democratic candidates and progressive organizations. We produce compelling, effective mail that wins. We pride ourselves in providing expert strategic advice and creating crisp, high-quality designs that stand up to the best corporate advertising. We take advantage of advanced voter targeting methods to deliver your message with surgical precision. 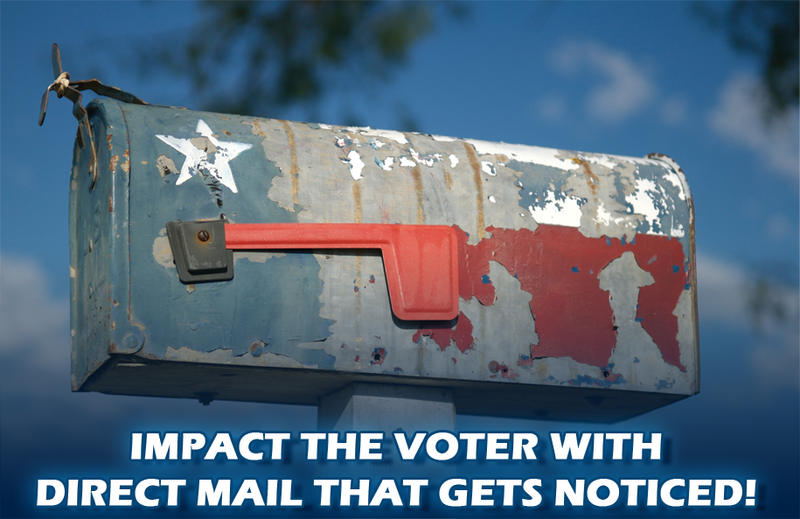 Direct mail is one of the most efficient means of voter communication because it can be so highly targeted and narrowly tailored. Johnston Campaigns develops mail that's on message and anchored by compelling visual images. We focus on communicating a crisp message and producing pieces that voters remember on Election Day. Johnston Campaigns produces an overall strategic mail plan, beginning with a carefully targeted core mailing universe. Frequently, these targets are further refined using demographic and polling data.